If you’re like most disabled people, there have probably been times in your life where you’ve had trouble finding employment. 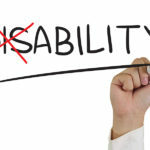 Even though laws prohibiting discrimination against the disabled have been tightened up in recent years, many disabled people still find themselves struggling to find a workplace that can accommodate them. But if you can’t find work, there are still options out there. And one of the best options is to become your own boss. 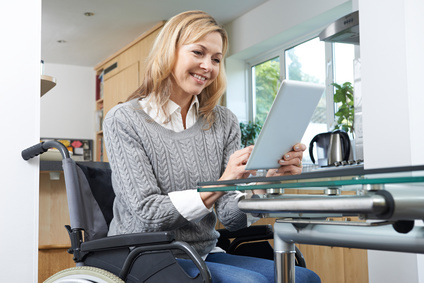 It’s not an easy lifestyle, and it’s not as stable as a regular job, but there are few better ways for a disabled person to earn a living than to start a home business. Most importantly, if you’re working for yourself, you can work when your disability permits it. You can tailor your schedule around your lifestyle, and not the arbitrary and outdated work hours many workplaces still cling to, like Dickensian throwbacks. But it can be difficult to choose a home business to start. To help you choose, I’ve put together some of the best home business ideas I’ve come across over the years. The criteria for choosing them was that they must be inexpensive to start, offer flexible hours, and be relatively easy to do, in the hopes they would appeal to a wide array of disabled people. So, read on, and hopefully one of the business ideas will inspire you to start a successful home business. Reselling Items – There has never been a better time to resell items than right now. With sites like Ebay and Craigslist, you can easily pick up an item online and quickly resell it for a profit. There are even companies that specialize in dropshipping, where you never hold onto the physical item, and once you sell it, they ship it to the buyer for you. But reselling items isn’t easy, and it requires a fair bit of research to get started. Some items can be difficult to sell, and a lot will depend on the market where you’re selling. But once you’ve got the business up and running, and have a general idea about what items command the highest prices, it can provide a decent income stream. And with a bit of work, it can even become a fulltime income. 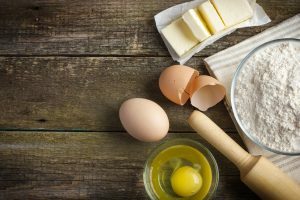 Baking/Cooking – There’s a reason that baking and cooking from home constantly rank among the most popular types of home business. It’s simple to do, has a good profit margin, and most people already have everything that they need in their kitchen to get started. It can be as simple as baking cakes and pies to sell, or as complex as selling to local stores and catering events. It really comes down to a person’s level of expertise in cooking and the amount of time that they can put into the business. A word of warning though – there are often strict health regulations that go along with this – so you should always check out your local regulations before getting started. Childcare – Childcare makes an excellent home business if you are at home during regular business hours. The price of daycare has skyrocketed in recent years, and many people are desperate to find someone to care for their children. 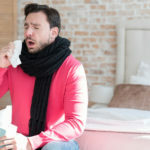 Depending on where you live, you may face only a few regulatory hurdles to start this home business, or you may face an unbelievably complex and onerous bureaucracy, that will make you want to pull your hair out before you finally get approval. You should always check with your local government and fire department to determine what is required before starting this type of home business. Repairs – This type of home business has existed for centuries, and people have probably been doing repairs out of their homes, since the time Thag broke his stone spear and had it fixed, way back in the mists of prehistory. But whether it’s repairing something relatively simple like tuning up small engines, or something more specialized like fixing watches, there are hundreds of opportunities out there to make money if you’re skilled at repairs. Another type of repair that has become big over the last few decades is home computer repair. Many people offer computer tune-ups, virus removal, and hardware repairs from home now, and this can quickly turn into full time work. Sales – Sales are another ancient type of home business, and some people may remember the old Tupperware and Pyrex sales parties. Times have moved on since then, and there are hundreds of companies now that give you the opportunity to sell their goods from home. Whether you want to sell candles, jewelry, or even fine foods, you can easily find a company online that will give you the opportunity to sell for them. I will warn you up front that most of these companies are very difficult to earn fulltime income with, and depending on what level of income you need, there are better options for earning money from home. Data Entry – Data entry is another recent addition to the world of home businesses, and is among the most reliable of the businesses on here. There is always demand for data entry, and while the work itself may be a tad boring, it does pay reasonably well. And it tends to be steady work – something that can be done around your schedule. Laundry Services – Believe it or not, there is a thriving market out there for laundry services. This is especially true of ironing, since most people hate this chore with a passion. But it also extends to cleaning clothes, and even folding laundry. As more and more people find themselves working longer hours, and shuttling kids back and forth between swimming and baseball, they just don’t have time to do simple things like laundry anymore. So many people are now contracting out their laundry services, and if you have a washer, dryer and iron, then you could be operating this home business. Sewing – Sewing as a home business has seen a particularly large upswing since the last recession, as more people are trying to live frugally and repair their worn clothing, rather than throwing them away. If you have passable sewing skills, you will likely find large numbers of people in your community that are looking for everything from sock darning, to having clothes let out. While it may not make you rich, it usually does provide regular work. Virtual Personal Assistant – As more and more people move to an online work environment, the demand for virtual personal assistants has gone through the roof. Some virtual assistant contracts offer only a few hours a week, while others offer fulltime work. Regardless of how often you work, you’ll find yourself making and taking phone calls, sending e-mails, and performing work online. If you are interested in this field, I would recommend that you brush up on your online skills, and learn as much as you can about Microsoft Office. Tutoring – This is another time-tested home business that people have been doing for ages. If you have a knack for math, English or any other subject, you can offer up your services as a tutor. There is always demand for tutoring, and you could end up teaching everyone from kids, to new-comers to the country. Pet Care – This is another home business field that has exploded in recent years. People’s busy lives mean that they have less time to devote to their pets, at a time when people are starting to think of their pets almost like children. Because of this, they are willing to spend vast sums of money on what are usually tiny, designer dogs. 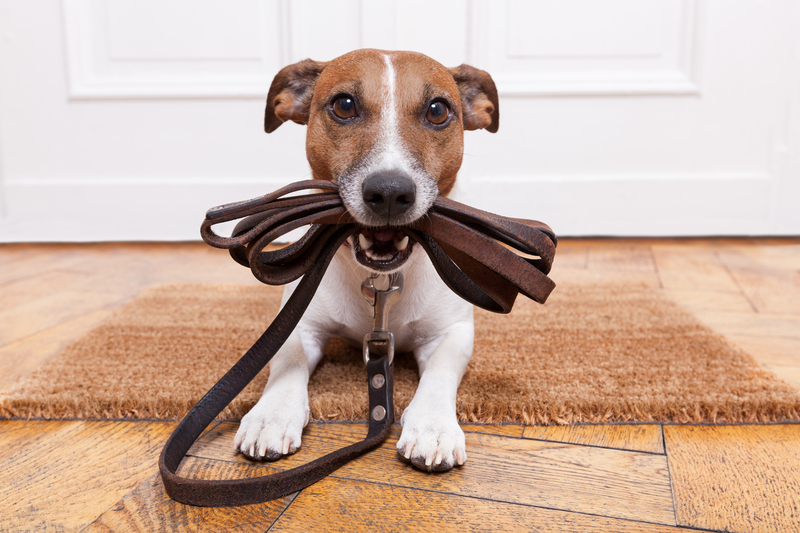 Whether it’s walking, grooming, dog sitting, or even pet therapy, people are willing to pay someone to do it. And that someone could be you. Blogging – Since the only person in the world who hasn’t heard about blogging, is a lone monk living in seclusion in Nepal, it’s pretty safe to say I don’t have to describe how blogging works. And while it has gotten a lot more difficult in recent years to make money blogging, it’s still an excellent way to make money – albeit requiring a monumental amount of work and a bit of luck to become successful. If you want to start blogging, you could start a niche website, an affiliate website, or just a simple blog where you talk about whatever interests you. Translating – As western countries grow more diverse, the demand for translators has increased exponentially. Even if you’re not a certified translator, there is still a huge demand for translating meetings and documents. So, if you can speak and write a language other than English, there will always be work out there for you. Vegetable and Fruit Growing – Of all the home business ideas, this is the one most often overlooked. Do you have a sizable backyard and a green thumb? Then you can grow vegetables and sell them during the summer months. More and more people are looking for organic produce, and you can command high prices at farmer markets or through local sales. Of course this business is only seasonal, but it is a great way to make some extra spending money during the summer months.